Commissioning, Startup, Training and Assisted Operation. The supply of this project was made by VISION in a turnkey regime for the supply of a 2,500 kVA E-House type substation – SE10. 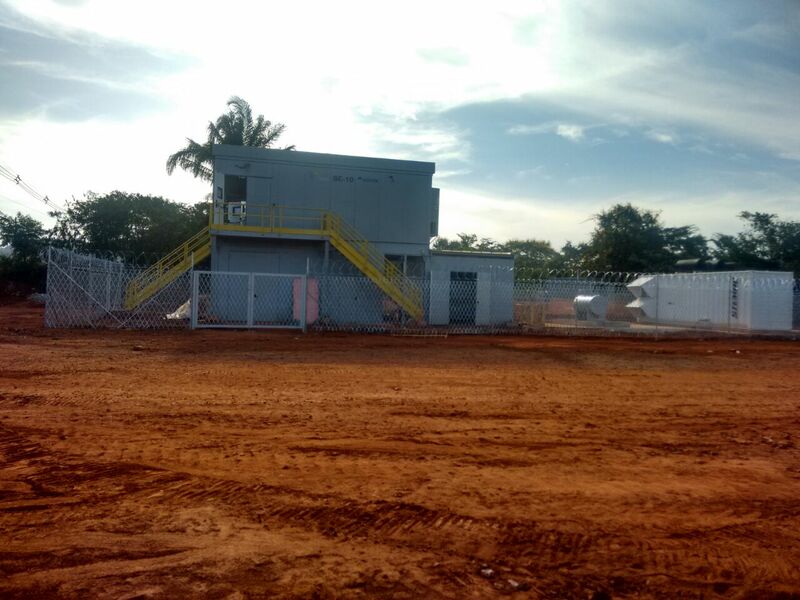 The system provided in the municipality of Canaã dos Carajás / PA / BR, to supply energy to the telecommunication, signaling and lighting systems of the railroad branch in southeastern Pará. This railway branch is part of the logistics corridor, where it will drain the production of iron ore from the S11D complex, the largest project in VALE’s history. The project included the provision of the supervision, protection and control system, MT panels (13.8 kV and 34 kV), transformer 34 / 13.8 kV 2.5 MVA, automation and supervision panel (PLC of the S7- 1200 SIEMENS, rectifiers, access control, CCTV, detection system, alarm and fire fighting). Services include control system, communication, supervision (SCADA philosophy), testing, transportation, assembly, commissioning, start-up and assisted operation.